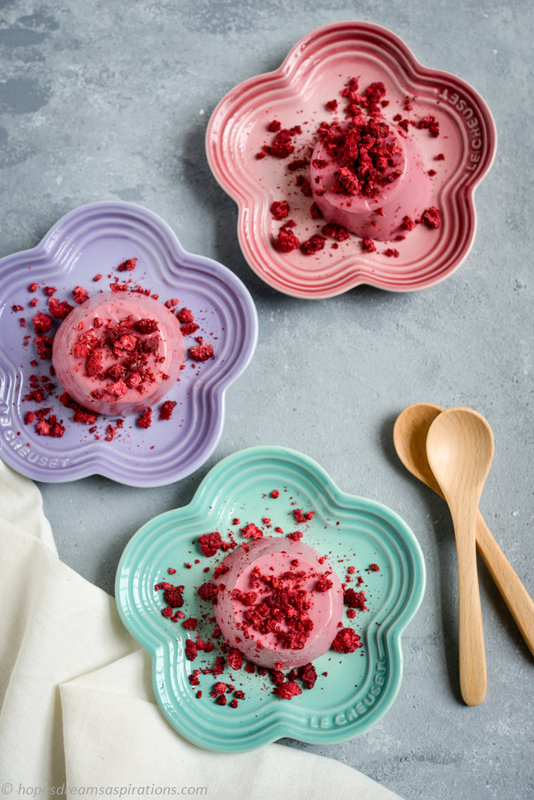 These beautiful Raspberry Panna Cottas are super easy to make! 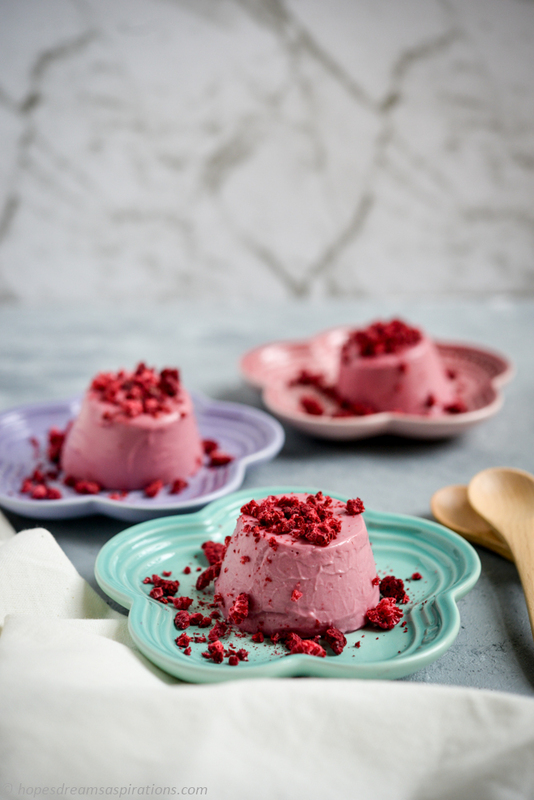 Made using Fresh As’ panna cotta mixes, it requires only the addition of milk and cream. No complicated prep or cooking at all. J’s latest favourite dessert to have and make by herself. Recipe adapted from Fresh As. Heat milk and cream in a pan to lukewarm, around 40 degrees C. Remove from heat. 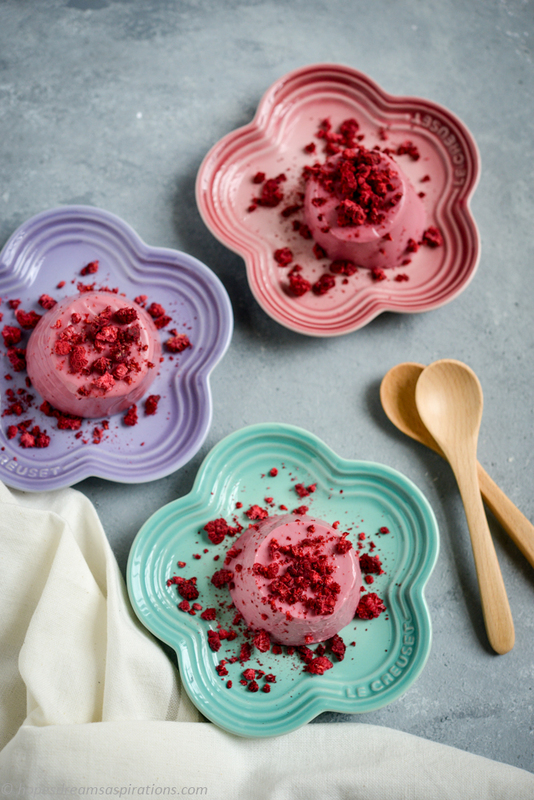 Gradually sprinkle the Panna Cotta pack contents over the cream mixture, gently whisking until all ingredients are well combined. Spray dariole moulds with a neutral flavour oil. Wipe away excess with a paper towel. Pour the cream mixture evenly into 2 dariole moulds. Cover and refrigerate overnight. 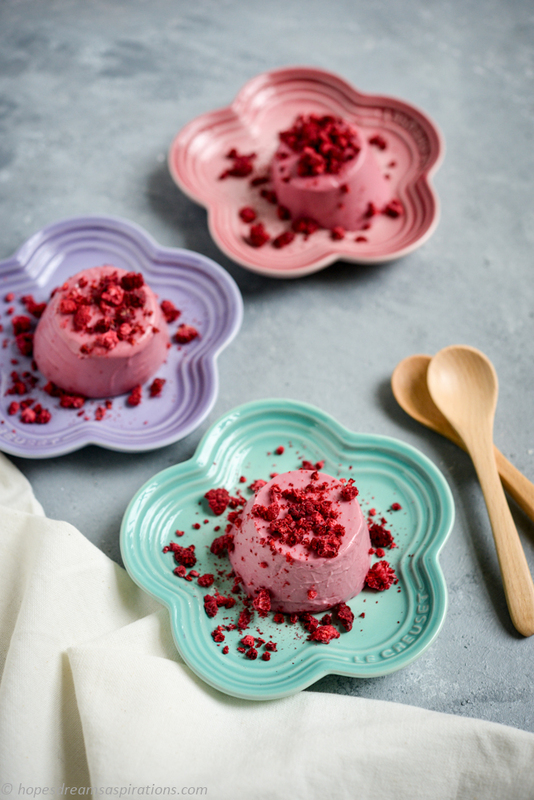 Run a knife around the edge of the moulds and gently tip the panna cotta out to serving dishes. Alternatively, you can pour it directly into serving bowls to set and serve. 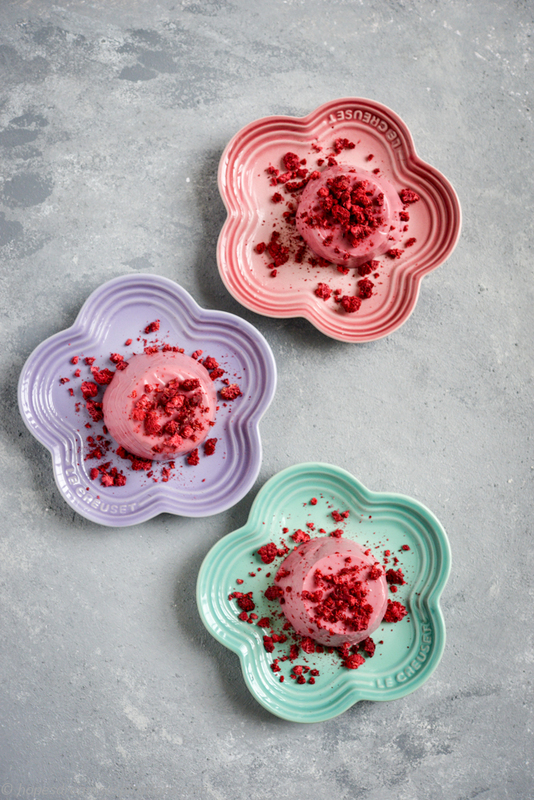 * If the panna cottas don’t release easily, you can dip it into a container of hot water for a few seconds to release it. Don’t do this for more than a few seconds though!